Hey everyone it’s that time again, time for your weekly update! I’m happy to report the final geometry pass for the destroyer has been finished. We still need to do textures/materials however we’ve decided we’ll likely defer that until we’ve had a chance to do one or two balancing passes on the weapon systems. The reason for this is that it will affect the distribution of hardpoints and their size which could have an impact on texturing. 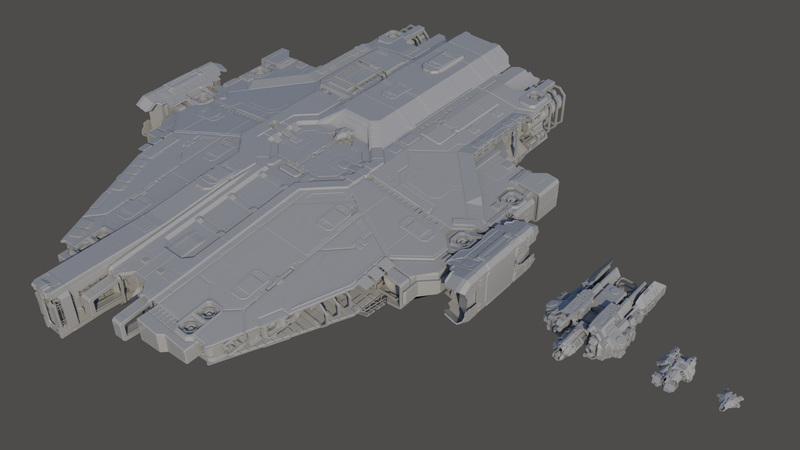 The art team is now working on a broad set of tasks including the cruiser, placeholder particle effects, placeholder weapon effects, and some website improvements. On the engineering side work continued on weapons as well as some website and backend improvements. 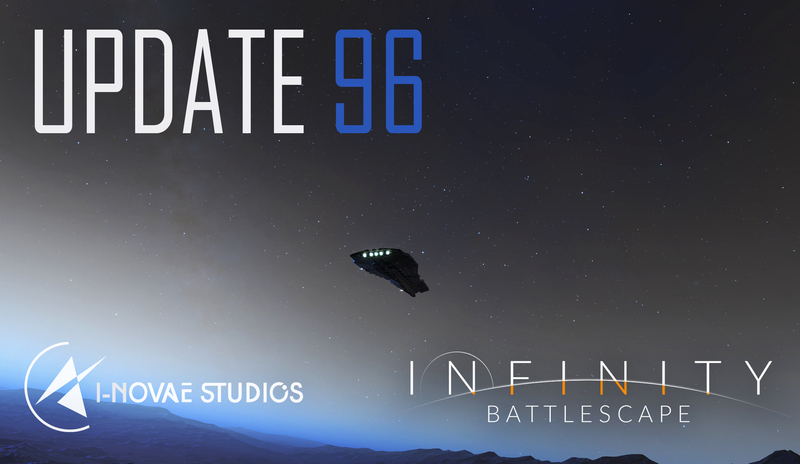 We’re working hard to get that elusive next patch out as soon as possible however our missile locking system has ended up taking considerably longer than anticipated and is the primary source of the delay. 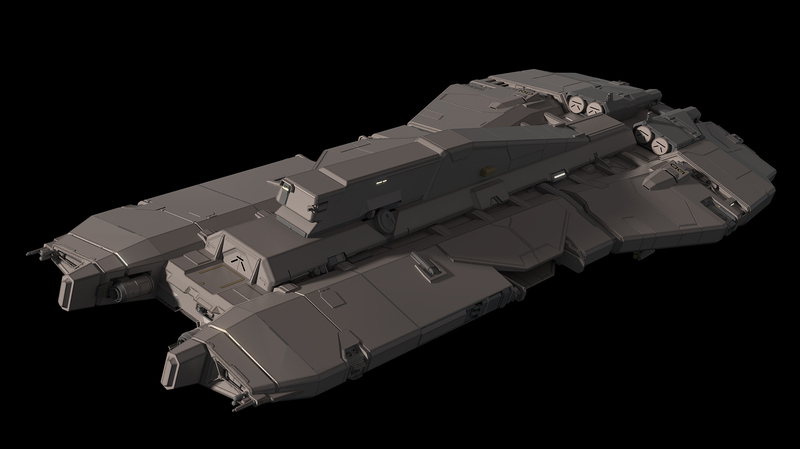 We’ve had a number of discussions regarding capital ship weapons over the last few days. Our current plan is that capital ship weapon systems, which a pilot is able to organize into different groups, can be aimed at a specific target and fired all at once - similar to games like World of Warships. Turrets that are not facing the right direction can be optionally set to auto-fire on targets within visual range or stay dormant to conserve ammunition and/or energy. Missile turrets will have slightly different behavior than other turrets. Since missiles are intelligent they can fly around the host ship to get to their target regardless of which direction they’re facing as along as the target is far enough away. They can also be set to auto-fire like other turrets. Obviously, the implementation of capital ship weapon systems diverges heavily from that of the smaller ships and won’t be properly implemented until sometime after our next patch. That’s it for this week, until next time! But is it WIP if it’s final? just wanted to provide a shout-out to you guys. Even though some of your weekly updates are small (as in really not a ton of info), the fact you send something out almost every week is appreciated. Keeps us in the loop where things are at. We appreciate the kind words! I usually write the weekly updates in the evening and some weeks I’m quite tired, especially since my son was born 3 months ago, or we’ve been working on low level stuff and there aren’t many exciting things to talk about. I apologize for the large variations in quality. Beautiful ships. I’m really liking the look of the capital one.